No matter how mature our kids are — or think they are — it’s not always safe for them to walk to school alone. And now one Tennessee woman has learned the hard way that it’s not always safe for them to walk to school even when she’s driving ahead of them. Lisa Marie Palmer, 32, is facing child neglect charges after telling deputies her daughters were being punished for missing the bus to school, reports the Chattanooga Times Free Press. Deputy Chris Ladd said he and another deputy saw the two girls with a dog “walking the fog line” while a gold Cadillac was parked on the shoulder around 50 yards ahead of them, its engine running. According to the deputy, Palmer was “driving ahead of the children and allowing them to walk and catch up to her vehicle and to proceed with that action until the children reached the school.” In his report, he estimated that the girls had walked about a mile and a half and had approximately 2 more miles to go. We don’t know exactly how old Palmer’s daughters are, but both are under 10. Is that too young to walk to school alone? Sometimes it is, sometimes it isn’t. 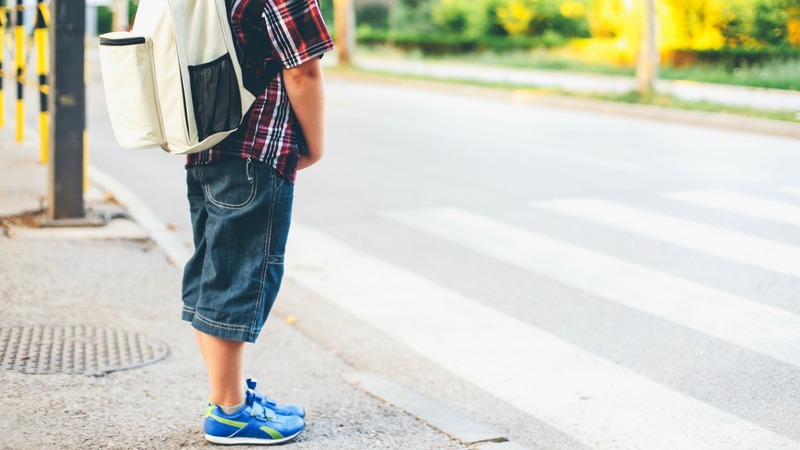 Kids walking to school is hardly a new thing, and with no federal or state guidelines for the maximum allowable walking distances for elementary age students, it has to be left to the parent to decide what’s suitable. Further guidance comes from Gavin De Becker, leading U.S. expert on predicting and managing violence, who says there is no magic age for when kids can walk or bike to school and suggests parents see if their child can pass the Test of Twelve (designed to assess a child’s readiness to stay home alone but can definitely apply to walking to and from school). The consensus seems to be that by age 10, most kids are ready to walk to school alone, but as every parent knows, not all 10-year-olds are the same. What’s more important than biological age is the child’s maturity and cognitive skills. The ability to apply logic and reason and the ability to shift and focus their attention increase in most children between 8 and 10. More: Mom hires stripper for her kid’s birthday, because what could go wrong? The other aspect of Palmer’s story worth considering is whether it was appropriate to punish her daughters for missing the school bus. If we expect our kids to walk to school alone, do we also expect them to get themselves out of bed, fed, washed, dressed and out the door on time? Surely there’s a fine line between teaching our kids how to be independent and to take responsibility for age-appropriate tasks and remembering that, as parents, the buck always stops with us when it comes to their safety and well-being.